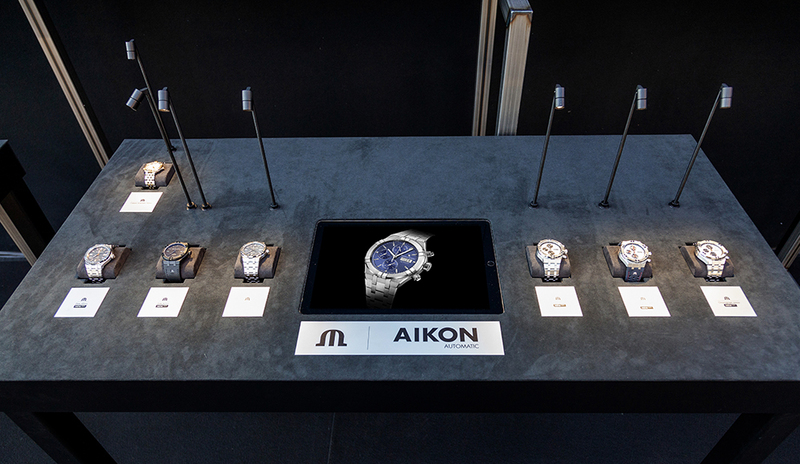 Levitating products with captions orbiting around the watches. 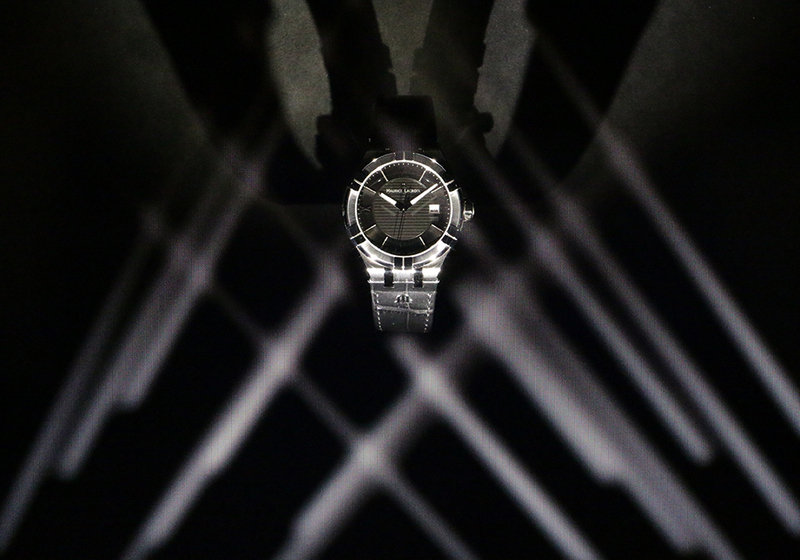 A raking 20th Century Fox lighting effect. 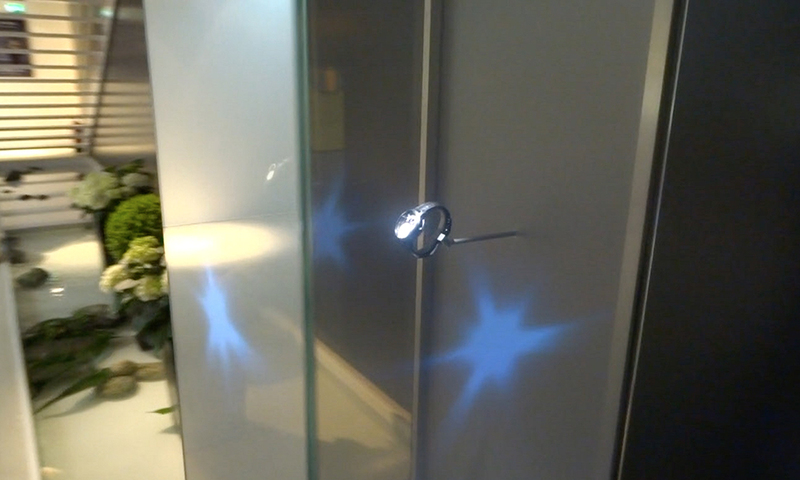 And a subtle staging. 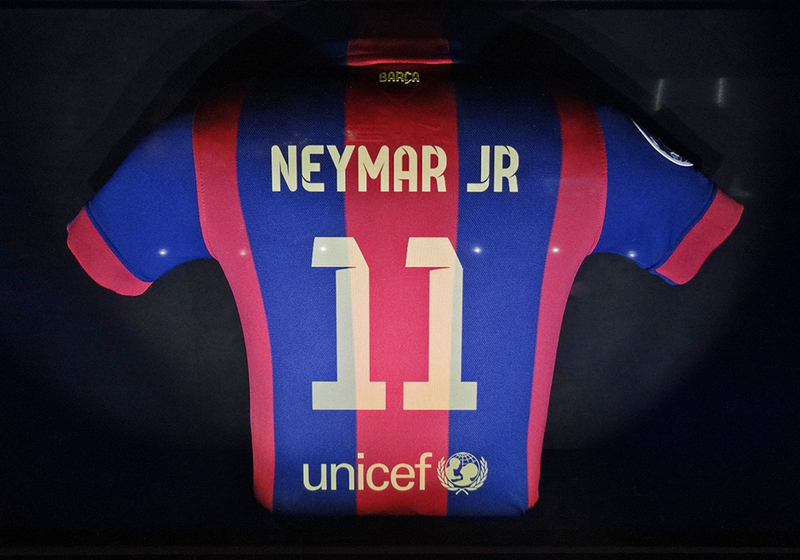 Le plus beau maillot de football du monde en vrai avec tous les joueurs du Barça qui défilent. 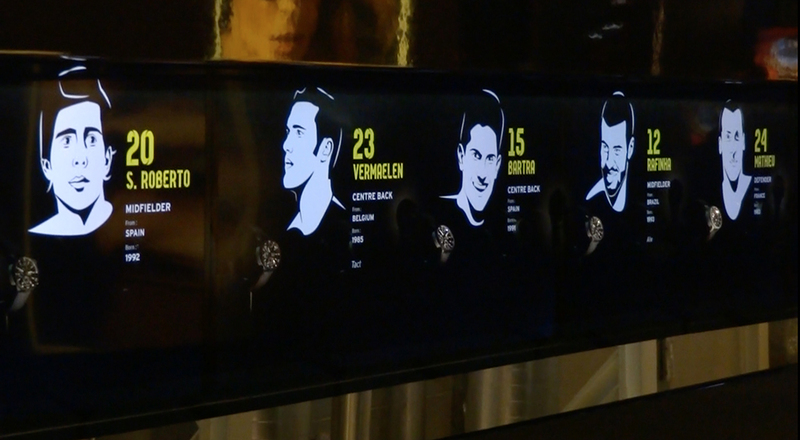 Une animation qui fait douter de la présence du maillot. 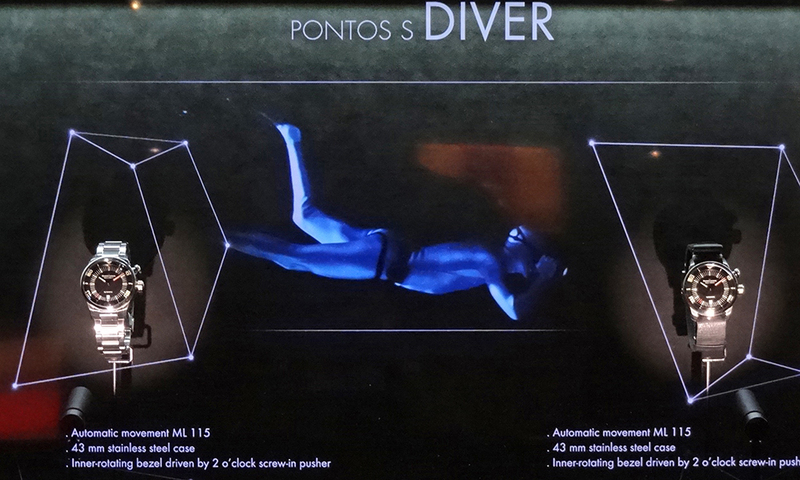 Vitrine holographique avec plongée sous-marine, sport extrême. 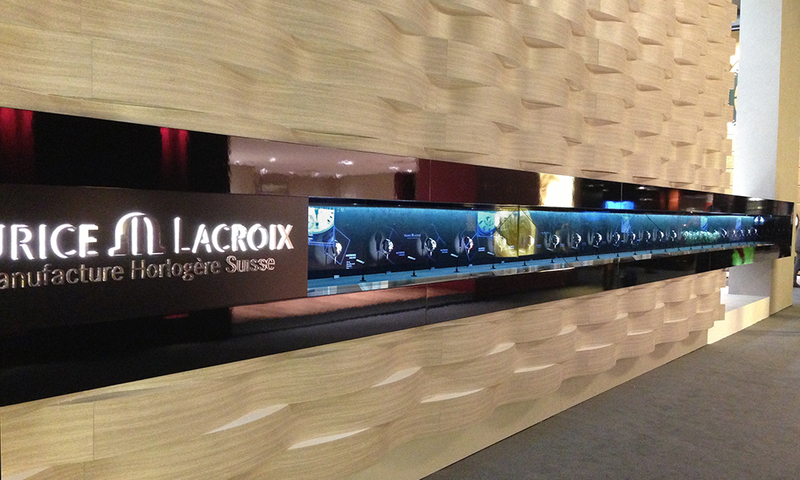 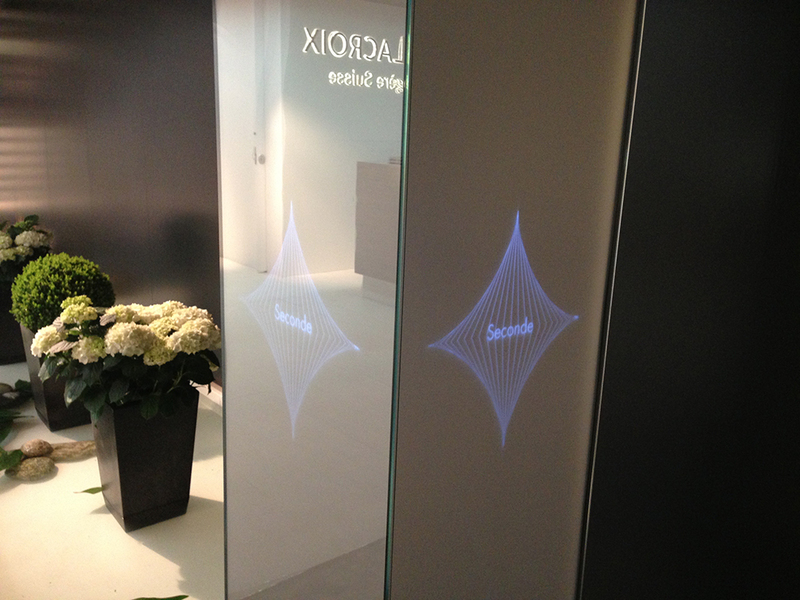 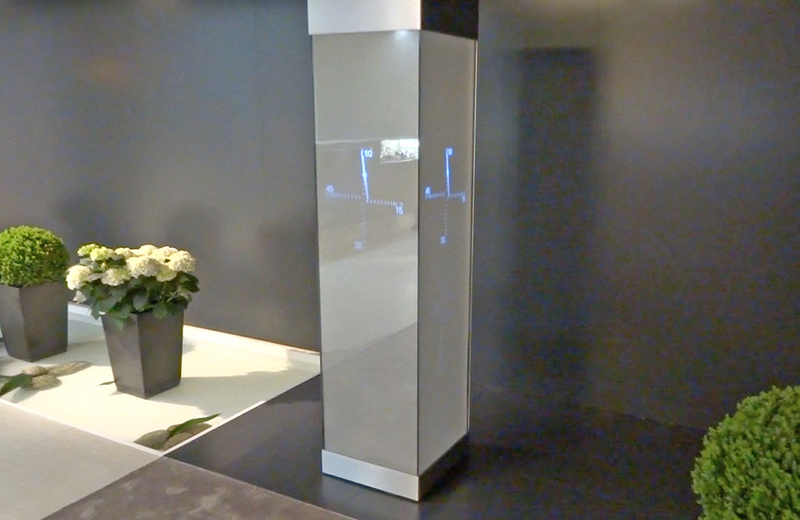 Giant vertical screens with spy glass at Baselworld 2013. 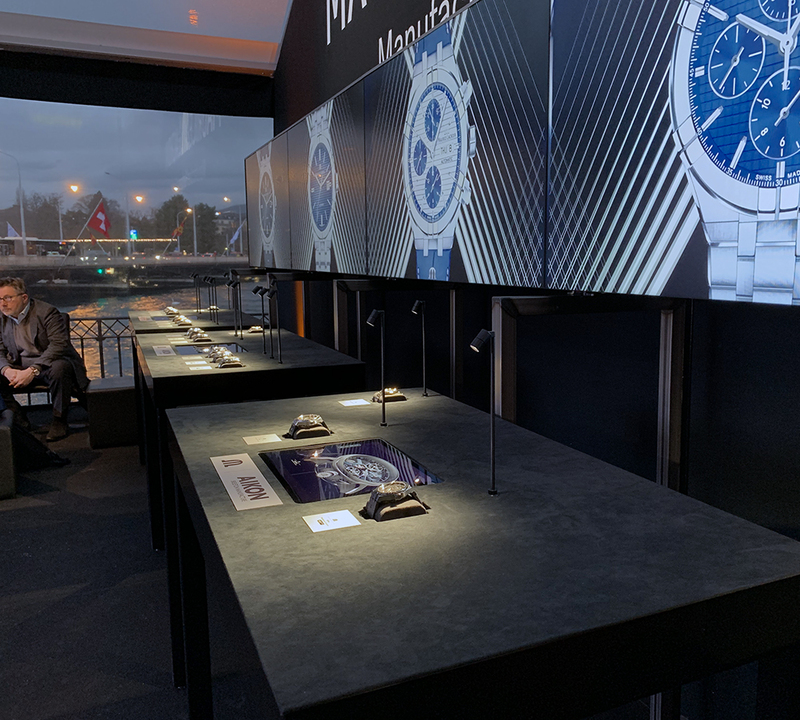 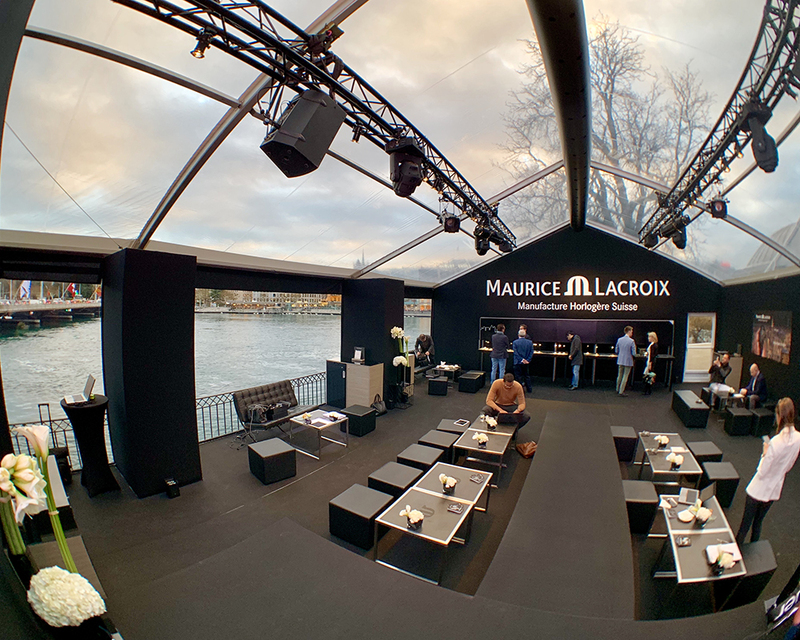 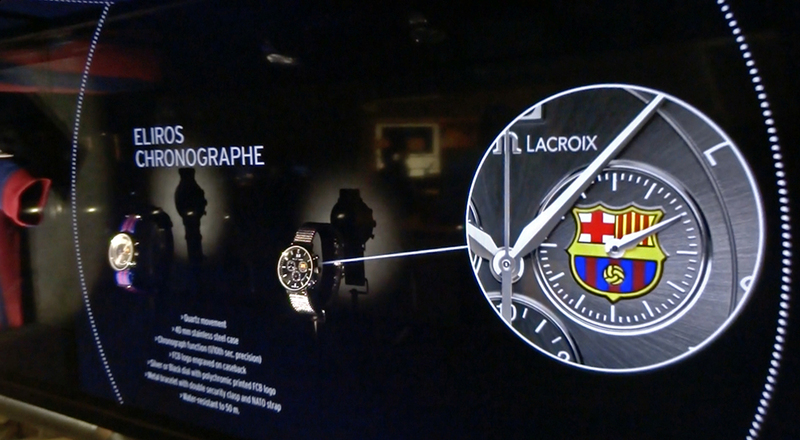 Maurice Lacroix uses real products with giant vertical screen behind spyglass. 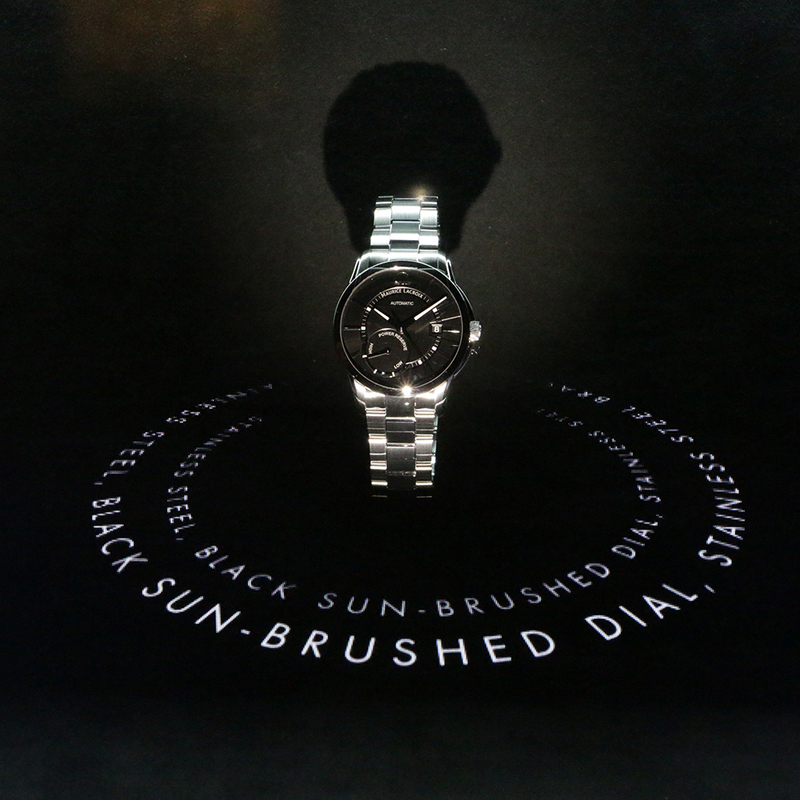 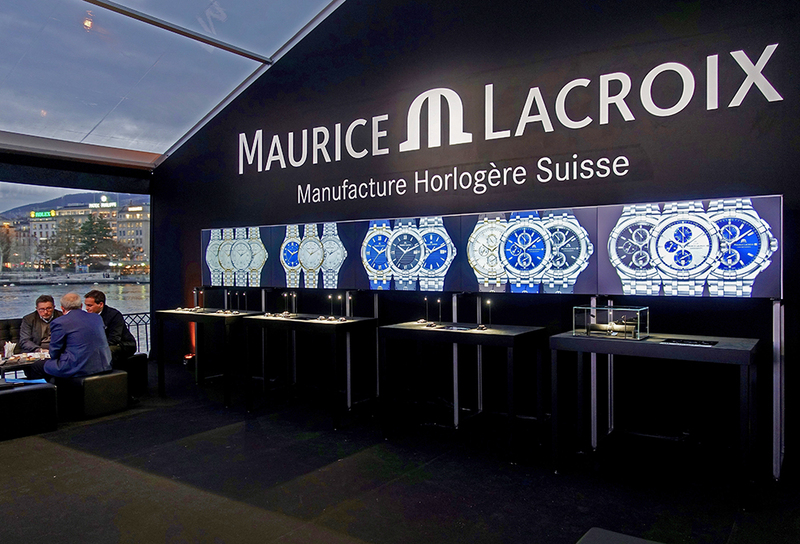 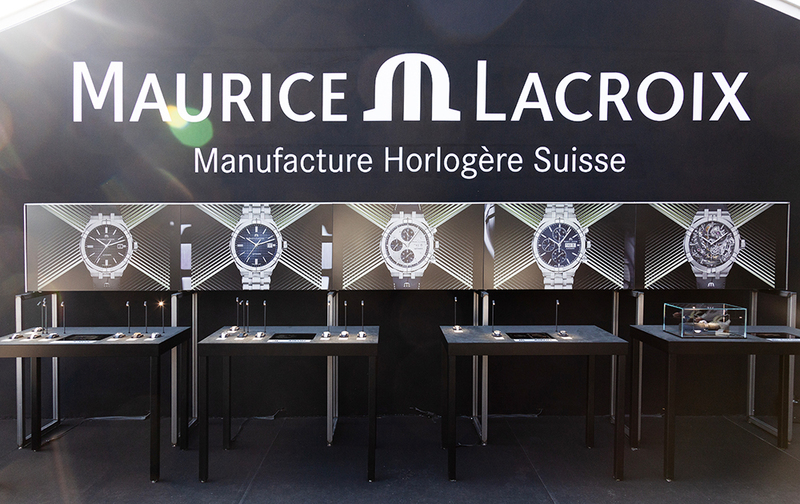 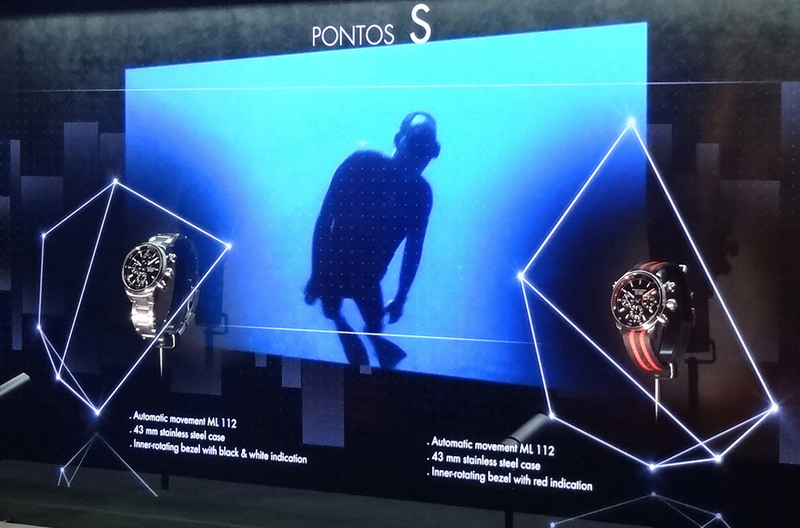 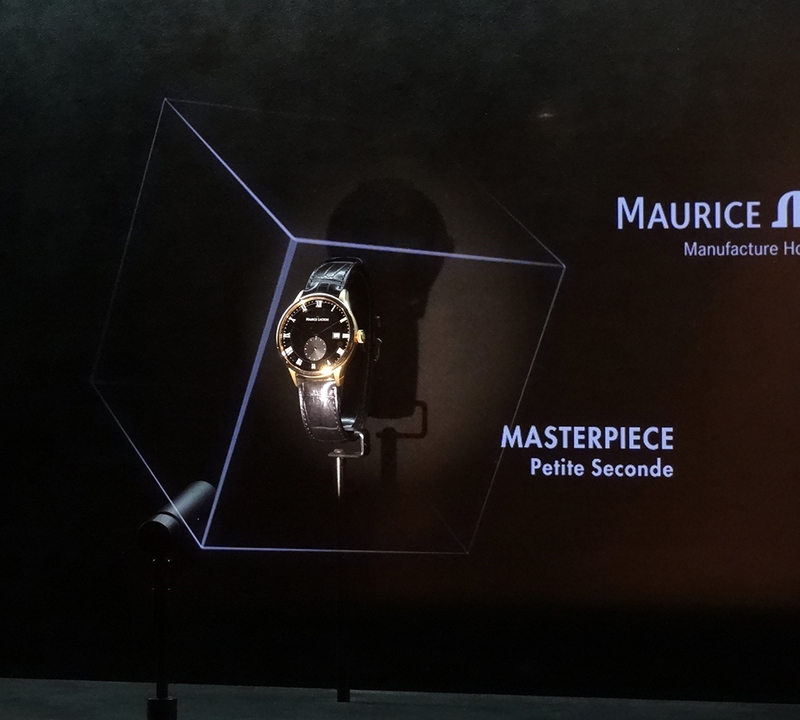 Ghostpaper at Baselworld 2013 for Maurice Lacroix. 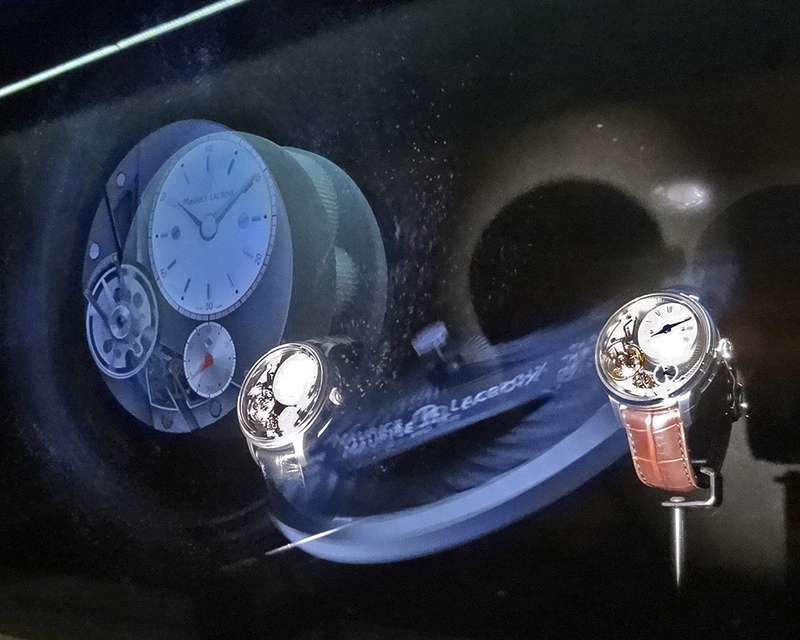 Ghostpaper can be blacked out completely (99%) or be 97% transparent. 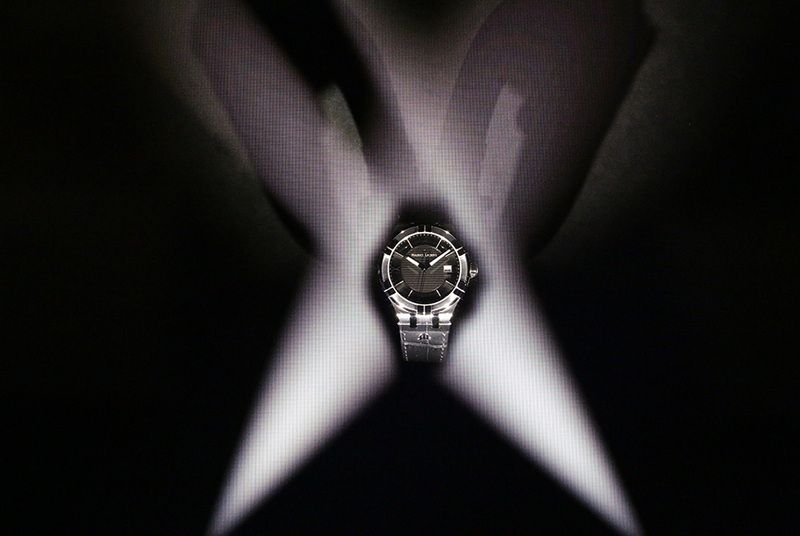 An image can be projected onto it when it is opaque or when it is transparent, offering the possibility of some interesting superimposed visuals.